11 Feb. 19, Kolkata – Happy Vasant Panchami to everyone, We at Lifesaver Air Ambulance have brought low-Cost Air Ambulance in Kolkata this month. We have done a massive patient transfer from Kolkata last year and now witness the growing number of patient transfer calls from the city. In order to cater to the need of different types of patients Lifesaver Air Ambulance has rolled out affordable Air Ambulance Service in Kolkata from this month onwards. You know cost is a remarkable factor for which many people do not prefer to avail an Air Ambulance. Being the prominent Air Ambulance operator we also analyze our services and hence provide you with the best Air evacuation available in your city at the lowest price. The benefits of the service can be availed with a customized ICU setup with LTV 1200 ventilator, BiPAP, Oxygen cylinder of large psi, heart monitor, CPR machines and other essential equipment. Lifesaver Air Ambulance always rely on highly qualified health care specialists. You can have the advantage of a specialist Doctor and a paramedic in our Air Ambulance in Kolkata. Bed to bed transfer facility shall be provided together with the on-call assistance 24*7. 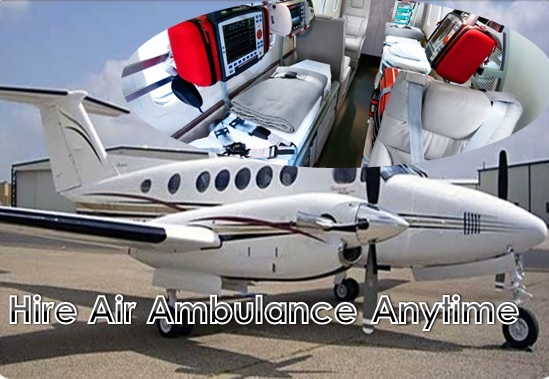 We try to educate our customer with the relevant information so that they would be able to choose the best Air Ambulance Service from Kolkata and other places. Generally, we get an inquiry for Air Ambulance from Kolkata to Delhi, Mumbai, and Vellore. In the recent service, we are touching all these cities and you can avail patient transfer service with us by calling our advisers anytime. Lifesaver Air Ambulance has a ready to rush medical team which is capable of reaching any location in your city within a few minutes and thus help you with all the medical support you may need. If you are residing in Guwahati and to transfer critical patient then call us now. Within a short interval of time, an Air Ambulance in Guwahati would be made available with complete ICU setup at a cost-effective and comprehensive price.